Among other big teams in Serie A, Juventus have been the most active in the transfer market thus far by grabbing five new players to help their course in challenging for serie A’s top spot next season. However, their mission isn’t done yet as beside still eying some big signings the Old Lady must sell some of their unused players first to clear out their roosters that will also gives them extra funds for getting more new players. 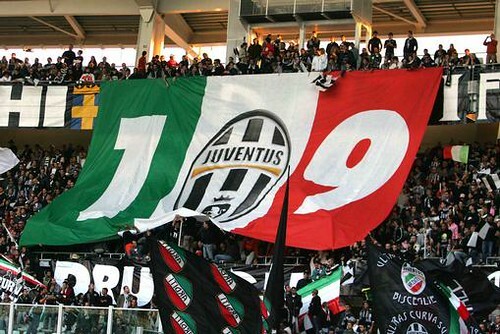 Reports from Italy suggested that about 13 players are being put on the transfer list by Juve’s management and that includes some of their veterans such as, David Trezeguet, Mauro Camoranesi, Jonathan Zebina and also even their big signing last season, Diego Ribas. This transfers are surely essential for their future plan, especially if the Bianconeri really want to acquire the likes of Milos Krasic, Edin Dzeko, Giampaolo Pazzini or even Bastian Schweinsteiger. By generating the sales of the players that the club think useless for net season at least, Juve’s new general manager Beppe Marotta hopes that at least Juve will be able to get cash around 20-30 million Euro. That sum of money would be very useful for the Bianconeri to at least acquire one or maximum two top players that they’re after, especially with the fact that the Old Lady is trying to spend more wisely this summer after such a dreadful season they had. Personally I believe it would be a big task for Juventus to sell those players and getting the amount that they wanted as many of the players are veterans, that’s why I believe they could really push Diego, Tiago and maybe Felipe Melo to get the money they needed. It would be interesting to see whether they can manage to get the same number of quality players they needed for the new Serie A season, as it’s not actually easy to buy quality players without wasting lots of cash this days. Seeing what Juve’s planning, they seems to have more players going out rather than coming in, I might be wrong but it would be tough for them to hunt players as soon as possible with the fact they will start the season early due to their commitment in the Europa League. The Bianconeri’s fans would surely hope that they would be able to get a quality signing to replace some of their transfer listed players, so that the team can compete well in the coming season.